ORDER IN THE COURT!, The Classic Courtroom Drama Blogathon hosted by Theresa of CineMaven's Essays from the Couch and Lesley of Second Sight Cinema is running from June 10th to the 13th. Look for contributions HERE. 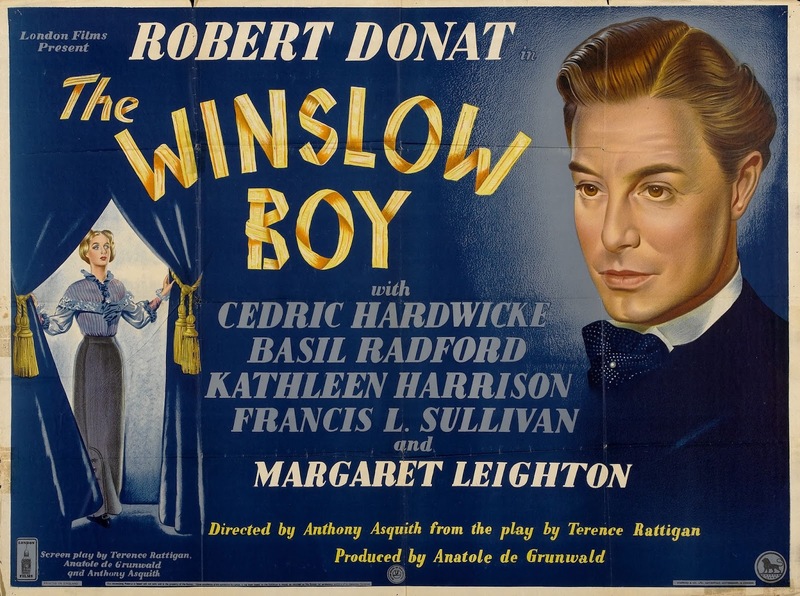 Terence Rattigan's The Winslow Boy premiered on the London stage in 1946 and was filmed by Anthony Asquith in 1948. Based on a true incident, the story, set in Edwardian England, expertly touches on matters of family, honour, philosophy, justice and the class system. What cost is too high to pay for ones' beliefs? The following look at The Winslow Boy is, by necessity, spoilerish in nature. I hope that if you have yet to see the film or a production, that it does not deter you in doing so. It is a play dear to my heart that grows more precious with each viewing. Cedric Hardwicke (The Hunchback of Notre Dame, I Remember Mama) plays Arthur Winslow, a recently retired banker of well-off, yet modest means. Mrs. Winslow played by Marie Lohr (Pygmalion, Went the Day Well?) is happy with her husband's change in status and pleased he will be able to "take things easy" as worsening arthritis is becoming troublesome. The Winslow children are daughter Catherine played by Margaret Leighton (The Best Man, The Holly and the Ivy), a mid-20s spinster aligned with the suffragette cause who has reason for hope in the matrimonial department. An army officer played by Frank Lawton (David Copperfield, The Invisible Ray) has moved next door. Dickie played by Jack Watling (A Night to Remember, Under Capricorn) is a student at Oxford majoring in the latest dance crazes. Young Ronnie played by Neil North (Tom Brown's Schooldays) is the pride of the family having been accepted at the Royal Naval College. Prior to the passage of one college term, Arthur becomes more reliant on his cane, Catherine has come to an understanding with her Army officer, and Ronald is expelled. Ronnie Winslow is charged with the theft of a 5 shilling postal order, found guilty and sent home in disgrace. Mrs. and Miss Winslow are full of sympathy. Dickie thinks the Navy is being rather high-handed as fellows pinch things all the time. Mr. Winslow only asks Ronnie if he did it, and asks for a truthful answer. Ronnie avows his innocence to his father and life will never be the same. Calmly, yet persistently Arthur Winslow sets about to clear his son's name. He is immediately, and it is thought ultimately, blocked in his goal by the red tape surrounding the military bureaucracy. To wit, there is irrefutable proof and it cannot be revealed. One course is left open to Arthur Winslow which he discovers through consulting the family solicitor Desmond Curry played by Basil Radford (The Lady Vanishes, Dead of Night), who has long harboured tender feelings for Catherine. However, although the act of suing the King is fraught with its own blockades, that is precisely what Arthur Winslow intent upon. The Admiralty is part of the government and the monarchy, which falls under the Divine Right of Kings so he Attorney General must agree to a Petition of Right for the litigation to proceed. To this end Winslow enlists the aid of his local Member of Parliament. 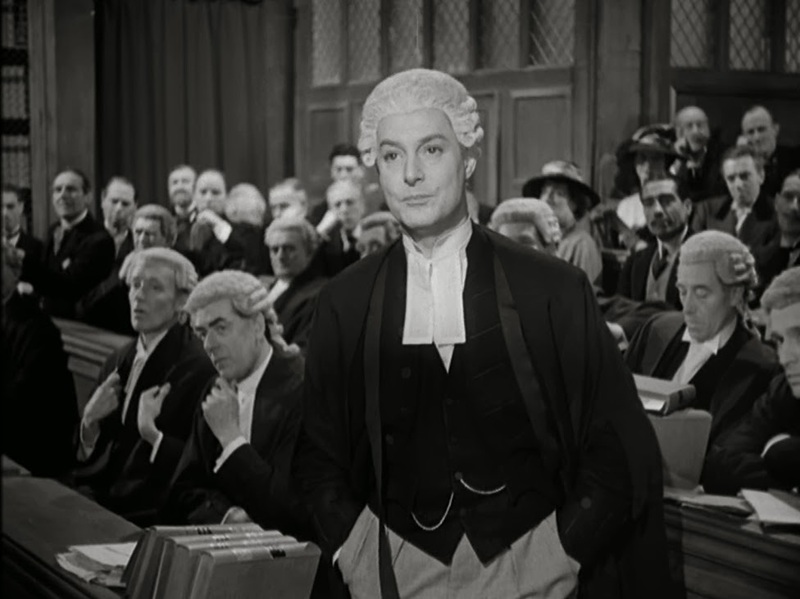 The most-noted barrister of the day, Sir Robert Morton played by Robert Donat (The 39 Steps, Vacation from Marriage) agrees to take on the case after a rigid cross-examination of young Ronnie. Sir Robert is eloquent, principled and a thorn in the side of Parliament. His reputation and his high-handed manner do not create a winning impression on Catherine, although she agrees with her father that no better man could handle their case. "The Winslow Boy" becomes a cause-celebre, spoofed by music hall entertainers (Cyril Ritchard, Stanley Holloway) and a draw for international headlines. Mona Washbourne (My Fair Lady) is delightful as a scattered sob sister more interested in decor than honour. She played the reporter's role in the original stage production. Also repeating her stage role is Kathleen Harrison (Night Must Fall, A Christmas Carol) as Violet, the Winslow's maid of a quarter of a century. Over two years of fighting this good fight has wreaked havoc with the family's savings and with Arthur Winslow's health. The staff has been cut. Dickie has had to leave Oxford. Mrs. Winslow has adapted courageously, but dismisses it only as stubborn pride. Catherine's disapproving prospective father-in-law makes it an issue of inheritance thus placing the marriage on the line. Catherine stands by her ethics and her family. Catherine is determined to see the maxim "Let right be done!" carried out. An ailing Sir Robert makes his own sacrifices in pursuing the case of "The Winslow Boy". Terence Rattigan's plays are renowned for their craftsmanship and beauty. This story of the collision of family and national values set among a class of people who prized their privacy is a joy. The emotions, always under the surface, are communicated with superb language, deep eloquence, and lovely, dry humour. The scenes which play out in the House of Parliament when the petition is in question are a reminder that politics/parliament/people haven't changed much in the past 60 years. The government often places protection of the status quo above the people. That Mr. Winslow must reach back to Magna Carta for redress, and that even that is frowned upon by his betters speaks to a never-ending battle. Sir Robert: "The House of Commons is a peculiarly trying place you know - far too little ventilation and far too much hot air." The trial, with the overly polite exchanges between the Defense and the Attorney General, the droll comments from the Judge and the preening of the witnesses reminds us why courtrooms and courtroom dramas continue to fascinate audiences. As spectators of The Winslow Boy we do not see the outcome of the trial, but it is breathlessly reported to us by Violet, the family maid, in a manner so enthusiastic that we, and the Winslows, live that moment far more than if we had been present. 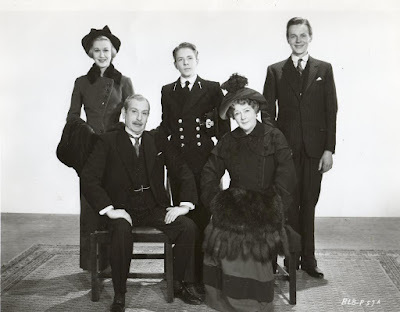 The thoroughly polished and professional cast of the film is equal to the script by playwright Rattigan (Separate Tables, The Browning Version) and director Asquith (Pygmalion, The Importance of Being Earnest). A classic story and a classic courtroom drama, The Winslow Boy is a play for the ages. A great selection! This is a favourite courtroom movie of mine and it does a wonderful job elaborating on the conflict between law in principle and law as a act of force on individual people. A great example of legal cinema's golden age. Thanks! This movie got under my skin years ago. I'm glad we got together at what must have been the right time. A proper, quality release is needed for everyone. I haven't seen it yet, but the 1999 version adapted by David Mamet is well thought of and may be easier to find than my beloved 1948 version. Enjoy! This certainly is a play for the ages, like you said. I've not seen this version – I'm more familiar with the 1999 version with Jeremy Northam. I'm certainly going to add the '99 version to my list. I haven't been avoiding it, that's just life as a movie fan - so many movies, so little time. "The emotions, always under the surface, are communicated with superb language, deep eloquence and lovely, dry humor." Well said! This is a superb film that deserves far more attention. The "let right be done" scene is powerful and the closing scene ends the film on a perfect note. The 1999 remake is also very good, but not quite up to par with this one. This is a movie that gets under your skin. It is like a person who becomes important in your life. It'a perfect example of entertainment with a message. Your sympathies are with the characters because they're admirable people, and their fight is (and always will be) very important. The government's assertion that "the King can do no wrong" has to be fought. The impact of the drawn out and worthy fight is a lesson in true moral courage, yet grounded in such a reality that we can't help but be touched. You are so right about this being a classic - in the veddy British sense. Excellent post and, as always, an interesting choice. 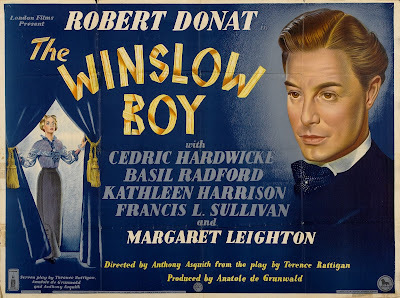 Anytime you've got Robert Donat, for me it is an automatic classic. 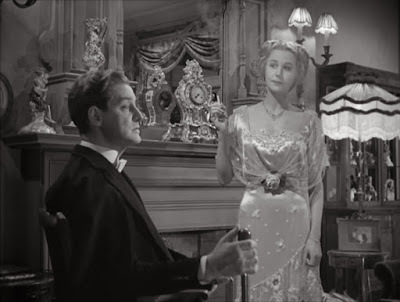 I can't say no to Robert Donat, but I specifically can't say no to Robert Donat with a white wig. I'll certainly look for this film! Your comment gave me a big smile. Robert Donat will not let you down. I'm with Le: Robert Donat. *sigh* Love the quote shared about "hot air" in the House of Commons (guess that goes for government every where ;) ). Will look for this title in the near future. I feel sure with its witty script and exploration of ideas that you will like it as much as "People Will Talk".